Hello my beauties! In honor of spring and fantasizing about warm summer days, here I am with a Beachy-themed review! So, as many of you know, I love the German Essence cosmentics brand! What good quality and affordable makeup! It reminds me a bit of a lower priced Stila with its cutesy cartoon images and trendy packaging. I am so glad that Essence is available here in the US! Check out some of my other essence reviews and raves here: Denim Wanted Collection, and Essence Colour & Go Nail Polish. The Surfer Babe Collection was released in Summer of 2010, but the products are still available on a small display at my local Ulta. The display at has an eyeshadow palette, nail polish, and blush (you can check out the full collection here. For my review and a swatch photo, keep reading after the jump! I absolutely couldn't resist this super pretty pink blush! 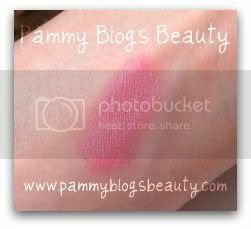 The blush itself is a matte very cool-toned (with hints of purple) bright pink. This is such an ideal color for us fair ladies! So, go ahead and dream of the beach and apply this pretty blush!!! Maybe you will attract some "Big Wave Surfers"(wink!). 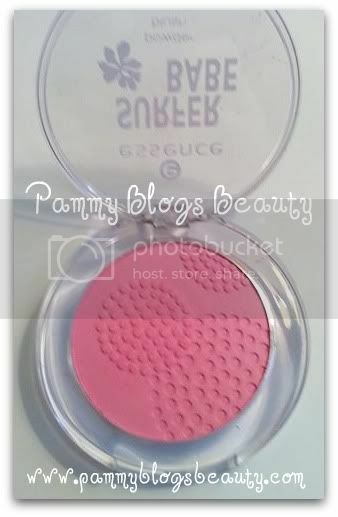 Has anyone else tried this pretty blush? Anyone else ready for summer and the beach? Thanks for reading! XOXO! Oh God I cannot wait for the summer and to get to a beach somewhere. The blush looks gorgeous. This is gorgeous! I haven't seen it at my local Ulta yet. I don't believe we can get this line in Canada but this looks so pretty...are they expensive? Hey Girls! I can't wait for summer too! Oh, Tracy, thanks for asking about the price! I edited to include the price, it was right about $3.00. A steal!! !